We demonstrate the results of morphometric investigations of hybrids in Veronica subg. Pseudolysimachium (V. × altaica Kosachev und V. × kolyvanensis Kosachev et Shmakov) and their parents. Based on PCoA analysis with seven morphological characters, we reveal an intermediate position of the investigated hybrids and the most important taxonomic characters: ratio of length and width of the lamina of the upper leaves, height of plants, length of the longest corolla lobe and calyx lobe, presence of hairs on the calyx and their position, as well as the length of hairs on the internode below the inflorescence. Albach, D.C., Fischer, M.A. (2003). AFLP- and genome size analyses: contribution to the taxonomy of Veronica subg. Pseudolusimachium sect. Pseudolysimachion (Plantaginaceae), with a key to the European taxa. Phytologia Balcan., 9. 401–424. Bardy, K.E. (2011). Extensive gene flow blurs species boundaries among Veronica barrelieri, V. orchidea and V. spicata (Plantaginaceae) in southeastern Europe. Taxon. 60(1). 108–121. Fischer, M. (1974). Beitrag zu einer systematischen Neubearbeitung der Gruppe um Pseudolysimachion spicatum (L.) Opiz (= Veronica spicata L.). Phyton. 16(1–4). 29–47. Härle, A. (1932). Die Arten und Formen der Veronica-Sektion Pseudolysimachia Koch auf Grund systematischer und experimenteller Untersuchungen. Bibliotheca Botanica. 26. 1–86. Klokov, M.V. (1976). About Veronica spicata group. Novit. Syst. Pl. non Vasc. and Vasc. (1975). 92–111 [in Russian]. Kosachev, P.A. (2003). 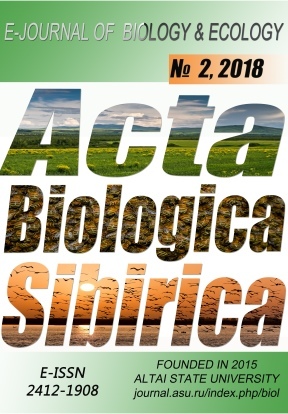 Review of the section Pseudolysimachium W. D. J. Koch (Genus Veronica L., Scrophulariaceae) in Altai Mountains. Turczaninowia. 6(1). 11–33 [in Russian]. Kosachev, P.A., Albach, D.C., Ebel, A.L. (2015). Check-list of Veronica subg. Pseudolysimachium (Plantaginaceae) of Siberia. Turczaninowia. 18(3). 84–95. Kosachev, P.A., Albach, D., Shaulo, D.N., Shmakov, A.I. (2013). New species of Veronica subgen. Pseudolysimachium (Plantaginaceae Juss.). Turczaninowia. 16(3). 8–14 [in Russian]. Kosachev, P., Behçet, L., Mayland-Quellhorst, E., Albach, D.C. (2016). Analyzing Reticulate Relationships Using CpDNA and Pyrosequenced ITS1 as Exemplified by Veronica subgen. Pseudolysimachium (Plantaginaceae). Syst. Botany. 41(1). 105–119. Kosachev, P.A., Ebel, A.L. (2010). Notes on Veronica L. in Siberia. Animadversiones Systematicae ex Herbario Kryloviano Universitatis Tomskensis. 102. 3–11 [in Russian]. Kosachev, P.A., German, D.A. (2004). New species of genus Veronica L. (Scrophulariaceae) from the Western Mongolia. Novit. Syst. Vasc. Pl. 36. 209–212 [in Russian]. Kosachev, P., Pfanzelt, S., Mayland-Quellhorst, E., Albach, D. (2017). The distribution of endemic species Veronica ×czemalensis Altai according to the analysis of NGS (Next Generation Sequencing). Proceedings of the 16th International Scientific and Practical Conference (Barnaul, 5–8 June 2017). 250–253 [in Russian]. Trávniček, B. (1998). Notes on the taxonomy of Pseudolysimachion sect. Pseudolysimachion (Scrophulariaceae) in Europe. I. P. incanum and P. spicatum. Preslia. 70. 193–223. Trávniček, B., Lysák, M.A., Číhalíkova, J. & Doležel, J. (2004). Karyo-taxonomic study of the genus Pseudolysimachion (Scrophulariaceae) in the Czech Republic and Slovakia. Folia Geobot., 39. 173–203. Tsvelev, N.N. (1981). Veronica L. iz rodstva V. spicata L. i nekotorye voprosy filogenii etogo roda. Bulletin of Moscow Society of Naturalists, 86(6). 82–92 [in Russian].